CCI has welcomed the news that the canonization process of the late Bishop Enrique Angelelli is moving forward, coordinator MJ Ruben said today. 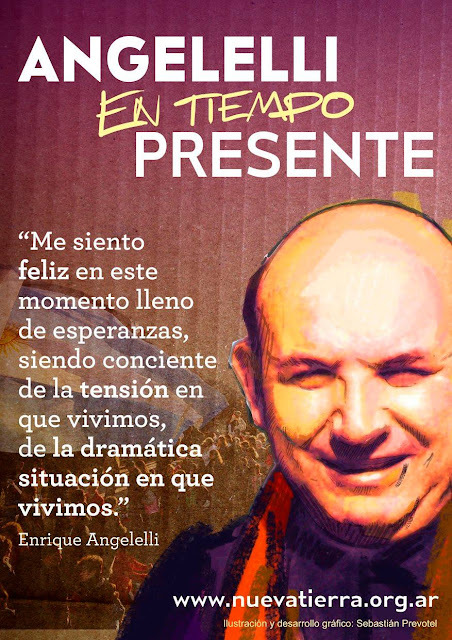 Bishop Angelelli, a pioneer chaplain of the JOC (YCW) and JUC (University YCS) in Argentina was assassinated on August 4, 1976 during the Dirty War for his involvement with social issues defending the rights of workers and farmers and standing up for his own priests. 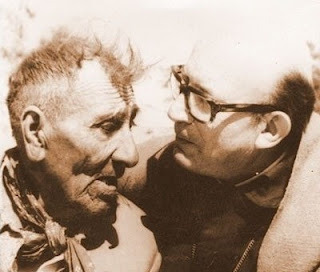 With Pope Francis greenlighting the cause of canonization in early 2015, the Diocesan process in the Diocese of La Rioja, Argentina commenced on October 13, 2015. Now, Archbishop Marcelo Colombo has announced that the Diocese of La Rioja will complete the diocesan level process on September 15 and will send all materials to the Holy See for the next stage. “CCI has been championing the cause of recognition by the Church for martyrs of Cardijn movements,” Ruben said, “including Bishop Angelelli’s close collaborator, Jose Serapio “Pepe” Palacio, a JOC leader in Argentina and in the JOC Internationale (IYCW) as well as for the Christian Workers Movement. “In this context, we look forward to further developments in the case of Bishop Angelelli and other JOC leaders as well as that of Cardinal Joseph Cardijn himself. “We hope that the Diocesan process in the case of Cardijn initiated in the Archdiocese of Mechelen-Brussels in January 2014 as a result of the campaign by CCI will also be completed soon. 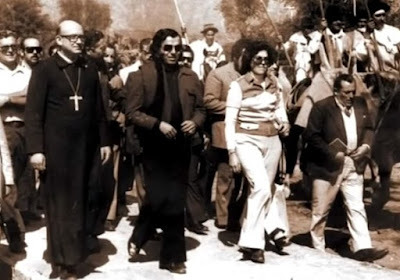 “We are doubly happy that the Church is recognizing ‘martyrs’ who fought for social justice. CCI seeks this recognition not for the sake of raising statues to our saints but to in order to motivate all future generations. “Thanks to all those who were involved in this project and we look forward to Pope Francis taking up the cause at an even faster pace. Seeing Bishop Angelelli declared a Saint of the Holy Mother the Church is no longer a distant dream,” Ruben concluded.